As a newly minted fashion blogger, one of the keys to hopeful success is networking and collaborating within the blogging world. 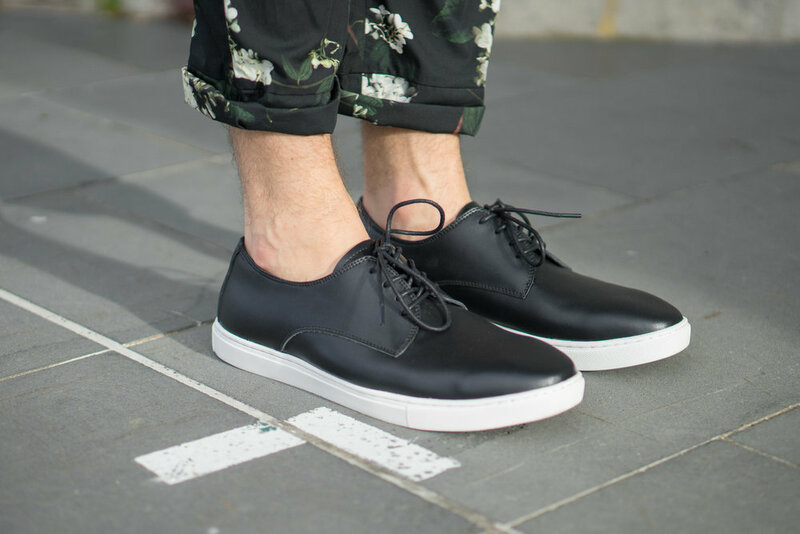 Being a men's fashion blogger in a relatively small market like New Zealand isn't without its challenges. A major one being there's really not many guys doing the fashion thing or have a unique voice on the subject, so there's not a great deal of opportunity to connect up with like-minded guys. I used to work for DDB, one of the top advertising agencies in Auckland and I recently caught up with a good friend of mine Dean who works for the PR team there. He suggested I should expand my audience, and do so by reaching out to bloggers who are dominating it in the world of women's fashion. After all, women have a big influence over men's fashion and even more so over what their boyfriends should be wearing. So after a coffee discussion over the names I should look out for, Holly Estelle's profile came up and after a quick stalk of her gram, I liked her aspirational style, yet it was real and accessible. I hit follow. Then it was only a mere few days later Holly fired me message to see if I was keen to collaborate. It was meant to be. We both had the same idea; to partner up as a duo to bring a fresh, new and unique approach to all things fashion. It's the start of many exciting projects we've got lined up together over the next few months. We're not celebrities, we haven't got massive insta followings, but what we have got is oodles of passion for making fashion more accessible and we've teamed up so we can better help you guys and girls find your unique sense of style. So here's our first shoot together which we did for H&M. We worked together on a total of four his & her complementing outfits; the first two Autumn looks are showcased in this blog post and we'll follow up with another more Winter centric post in the coming weeks. Enjoy the look book and get ready for more exciting fashion & lifestyle content coming your way from fashionista Holly Estelle and me. Jaheb featuring // H&M T-shirt & Jacket in-store now. Trousers in-store later this month. Frames by Ray-Ban. Sneakers from Country Road. Holly featuring // H&M Jacket in-store later this month. Dress in-store in June. Jaheb featuring // H&M Studio Collections (Top, Rain Jacket and Jeans) in-store now. Frames by Illesteva. Sneakers from Country Road. Holly featuring // H&M Jeans in-store May. T-Shirt in-store June. H&M have continually proven themselves to be at the forefront of global trends and are increasingly pushing fashion forward with the use of contrasting colours, shapes and textures. H&M have opened up doors to accessible fashion here in New Zealand and it's exciting to be able to jet out to their Sylvia Park location or head online to view their new ranges and styles. Keep an eye out for the new season drops as listed above.